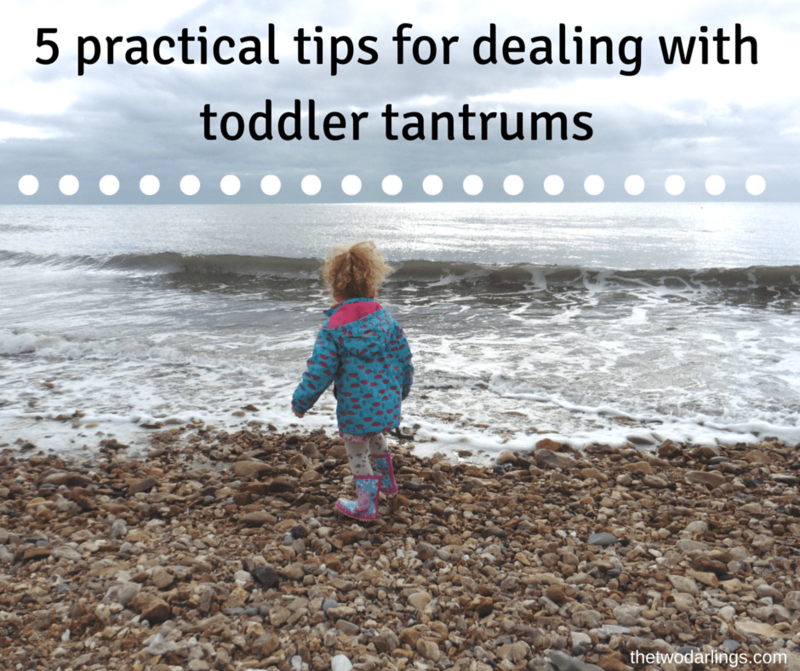 Thankfully we haven’t had many problems with our toddler throwing tantrums – she’s quite placid and shy for the most part. However, no child is a perfect angel and it has been a learning curve getting to the point of little to no toddler tantrums/meltdowns in a week. Whinging now is another story so if anyone has some tips on how to nip that in the bud I’d be happy to hear! Here are some of the methods we employed to avoid and diffuse the tantrums when they happened and thankfully after a couple of weeks their occurrence reduced and we still use the below methods on a daily basis. Let a certain amount of things pass -my Nana used to always say ‘let 9 things out of 10 pass’ and you know she’s right, sometimes I sigh when I see myself resigned to letting her pour in (ALL!) the bubble bath or when there is glitter flying in every direction or when she simply has to wear the pink socks despite her striped socks already being on her. As a mother I’ve found I have had to teach myself to let go and relax because let’s face it there are steam mops and hoovers and more bottles of bubble bath and time for changing socks. Give them options – our toddler seems to react well to situations in which she is allowed to choose – the colour of her lip ‘stinking’ (don’t ask me how she got that from ‘stick’ and FYI we don’t encourage the lip stick wearing! ), what dress she’s going to wear, which cup she’ll drink from, what jacket she’ll wear, what books we’ll read or what yoghurt she wants. Giving her the option of choosing lets her assert her independence in a nice manner and also avoids a meltdown when inevitably we choose the wrong thing for her. I like to think it will encourage independent thinking and improve her ability to make decisions but that’s probably a little ‘blue sky’ for a toddler. Keep them informed – if she’s watching a few episodes of Peppa Pig (or Godsend as I used to refer to her when I was on my last maternity leave, sorry Husband I swear she only watched a few episodes…!) or if we’re reading books before she goes to bed it’s always a good idea to let them know a little in advance when the activity is going to end. When she’s watching Peppa before the last episode I fully engage her attention to let her know this is the last and that she will press pause when it’s over. When we’re about to start the last book, we tell her this is the last and then its bedtime. Or if we’re doing an art activity I show her the clock and tell her when the hands reach a certain place she’ll have to stop for whatever (valid!) reason. This, and lots of praise when she leaves said activity with no whinging has worked pretty well in our house. Hugs and counting – if and when the bawling starts I’ve learned, possibly the hard way for both of us, that becoming frustrated or angry with her simply does not work. It’s down to my husbands never ending patience that he has taught me that hugs and kisses don’t necessarily reward the tantrum but instead calm her down and results in a positive outcome from the meltdown. This way too you can have a proper conversation as to why she is upset and why she shouldn’t act like that in the moment when it’s relevant. Counting to ten is good for diffusing the initial situation and hey, if nothing else, she’ll be a brilliant mathematician at the end of the day! In it together – over the past three years whenever parenting a baby/toddler has thrown up a situation that we have no experience with such as night wakings, going to bed issues, toilet training, fussy eating, soothers, etc my husband and I always take the time to decide how we are going to tackle the situation. That way we are both working together and putting on a united front. This means we’re helping each other and how we operate is consistent and leads to no confusion either between ourselves or as far as baby/toddler is concerned. I have no experience with boys so I don’t know if they need a whole different set of tips but I think some of the general principles we’ve employed in our house are useful and though we’re no experts I hope these help someone else in need of it! These are great tips! Hopefully we can remember them at the times our little ones are about to go into meltdown. For the most part my 3 children have all been placid, but there has been the few embarrassing shopping centre moments I’d rather forget! Great tips, think mine must be around the same age as yours! Mine are “spirited”, although they are good most of the time there are definitely moments when I could take your Nana’s advice myself! Oh believe me I do have to think of my Nana on plenty of occasion!! Oh thank you mummyscribles for the kind words and thanks for the additional tips!